I used to be famous on the Internet. Now I’m writing content for TopRank Marketing. This is better. Before starting at TopRank Marketing, I spent a decade working for my best friend from high school. We ran an online game, a passion project that somehow turned into a full-time gig for both of us. I made a comfortable living working from home, writing puns and pop culture references for an appreciative worldwide audience. I went to comic conventions, did interviews, traveled to London and Paris and was occasionally asked for my autograph in public. Fortunately, TopRank Marketing came along and saved me from writing love scenes between an Airbus and a 747. They saw some inherent talent, took a chance on me, and have spent the last six months shaping the future of my career. It takes patience and coaching to turn a minor nerd celebrity into a marketer, but the team at TopRank Marketing were more than willing to help further my digital marketing education. Here are my top 20 takeaways from these first 180 days. #2 – Strategy is the engine. Content is the fuel. Strategy is the engine that turns content into results. The most beautifully-worded, persuasive article will die a quiet death without the amplification to make sure it gets seen. #3 – The quality of content matters. The only way content marketing works is if the content is something people want to read. Wit, warmth, and personality matter in both B2B and B2C. TopRank Marketing hired a storytelling smart-aleck like me specifically to bring personality to the content. Occasionally we have to pull that personality back a little to match our client’s brand, but it’s easier to tone it down than tone it up. #4 – Revision is key. At my previous gig, I was used to writing and publishing without a second thought, let alone a second draft. It took conscious effort to let go of my ego and deign to alter my precious words—but there’s no denying how much better it was after a second or third pass. #5 – It’s a team effort. I was incredibly nervous the first time I made a recommendation that was contrary to what my account manager had originally suggested. How could I tell my boss that I thought my way was better than his? But it turns out; results trump hierarchy within our team. We all want what’s best for the client, and we all work together to make it happen. #1 – SEO is still extremely relevant. Part of what makes TopRank Marketing’s approach to content and social media so successful is their roots in SEO best practices. #2 – SEO isn’t what it used to be. I came of age in the days of old-school SEO, where the advanced tactic was stuffing keywords into posts to game the system. Now, SEO is still an important part of the mix, but it’s more a condiment than the main course. #3 – There’s no excuse to not hit the SEO basics. If I can do it, you can: 70 character title tags with a keyword, 160 character meta descriptions with your keyword included, keyword included in the post body if, IF, IF it is a natural fit in the text. #4 – Never let SEO get in the way of people-friendly writing. “The most important thing I learned about B2B content marketing is that in the world of B2B content marketing you need a B2B content marketing strategy to succeed.” No actual human would share a whole article written that clumsily. Optimize your writing for people, and the search engines will follow. #5 – Long-tail keywords are your friend. Say you run a business that sells cats to nurses in Cleveland. You could spend thousands of dollars trying to rank for “cats” and get nowhere. You will have better luck with a long-tail keyword, something with lower search volume, less competition, and more relevancy for your audience. Like, “cats for nurses,” or “cats for nurses in Cleveland,” or even, “where can a Cleveland nurse get a cat?” Think of what your audience wants, and what they would search for to find it. #1 – It’s so not about you. My old Twitter account was for any weird thought that went through my head. It wasn’t going to resonate with my new audience (that would be you, and thanks for reading). So I started @NiteWrites. I post at least one article of interest from the TopRank Marketing team every day, but also interesting marketing goodness from around the web. I keep focused on what will add value for people, and it’s going well so far. #2 – Okay, it’s a little about you. So much of my Twitter feed is just automated posts linking to blog articles, with just the title of the article for text. Automation’s all well and good, but where’s the personality? Where’s the “I thought this was interesting,” or “This guy is clearly off his rocker,” or “This @NiteWrites fellow is devilishly handsome and so insightful”? The few accounts I pay close attention to are the ones who bring humor, or wisdom, or some kind of extra touch to each post. #3 – LinkedIn is not Facebook, and vice versa. If your LinkedIn Profile has a picture of you sipping a beer on the beach, that should change with a quickness. If your Facebook posts are all business, you will find it hard to capture the eyeballs. #4 – Don’t build your house on rented land. Shout out to one of my new mentors, Joe Pulizzi, for that one. If you can capture your audience on Facebook, include a link that gets them to your content hub. Ditto with LinkedIn: It’s a great tool for building an audience, but that audience is even more valuable if they’re on your turf. #5 – You don’t have to be everywhere, just where your audience is. It’s easy to chase after new platforms like Periscope, Rapchat, BogStomp, and Ello (one of those is made up. Guess which!). But don’t waste effort where you’re not likely to build an audience. If you’re going after millennial cranberry farmers, BogStomp may be a priority—but it’s probably not for you. #1 – Great corporate culture encourages growth. I expected to be plunked in a cubical and handed stuff to write. Instead, I’m being encouraged to learn more about every facet of the business, through sessions with co-workers, online courses, or even good ol’-fashioned books. They want me to learn anything I want to know about marketing—and because of that, I want to learn it all. #2 – Team building doesn’t have to be lame. There are plenty of team-building exercises here. Fortunately, none of them involve trust falls or three-legged races. Our team has bonded over improv comedy, bocce ball, and ill-timed rainy-day boat trips. Good team-building makes your co-workers feel like friends. #4 – Great leaders keep an open door. I have an immense amount of respect for our CEO, Lee Odden, President Susan Misukanis, and Vice President Jolina Pettice. They all know their stuff, and work their respective tailfeathers off (I’m convinced Jolina is actually three people). But most importantly, they care about what every employee has to say—even the new guy with more opinions than facts. They’re approachable, relatable, and at least one has a lovely singing voice. #5 – There is no substitute for a good working environment. In my old job, I worked two to four hours a day, usually in my pajamas. Now I commute half an hour and put in eight-hour days. Not in my pajamas. And I have never, ever been happier. The supportive, nurturing, intellectually stimulating team here is worth putting on pants for. Simply put, I’ve learned more in the past 180 days than I did through six years of college and 12 years in the workforce. It’s a privilege to make awesome stuff with this team. Want to get in on all this goodness? Join the team. Want TopRank to make awesome stuff for you? How can we help? Josh, I am not alone in saying it is a privilege to have you on our team! See what I mean about awesome leadership, guys? I should add how humbling it is to be entrusted with posting to the TopRank Marketing blog. They put the company reputation in my hands when I was barely three months in. Opportunities abound. Josh, I love this post so much. Thanks for the kind words. It was a blast to write. Kudos to Ashley Zeckman for suggesting the concept. I don’t understand how you write a post and NOT include the keyword. If I’m wrong on this please enlighten me. I’ve often spent several minutes to an hour trying to reframe a client post just so I can include the keyword in the post, meta description, and image alt text. I agree that it’s important to have the keyword in the body text; sorry if that didn’t come across clearly. I was cautioning against dropping the keyword in clumsily–like it’s just an item on the checklist. It’s important to be mindful of how it reads to an actual person, that’s all. We encourage all of our employees to be brand advocates for TopRank, absolutely. We think it’s important for our clients to let their employees be a voice on social, so we practice what we preach. Every encounter I had at CMWorld went the same. They’d say, “who are you with?” I’d say, “TopRank Marketing.” They’d say, “Oh, I know TopRank. 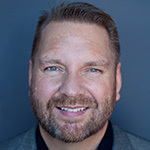 Lee Odden is your CEO, right? He’s fantastic.” Which is amazing for an agency our size. Mr. Nite, yours is one of the most healthy, balanced, and real perspectives in the industry. Very much needed.